Is your child a speedster? Does your child run, and run, and run, and run, and… well, you get the point. Well, then your child might feel pretty comfortable filling the shoes of Sonic the Hedgehog. 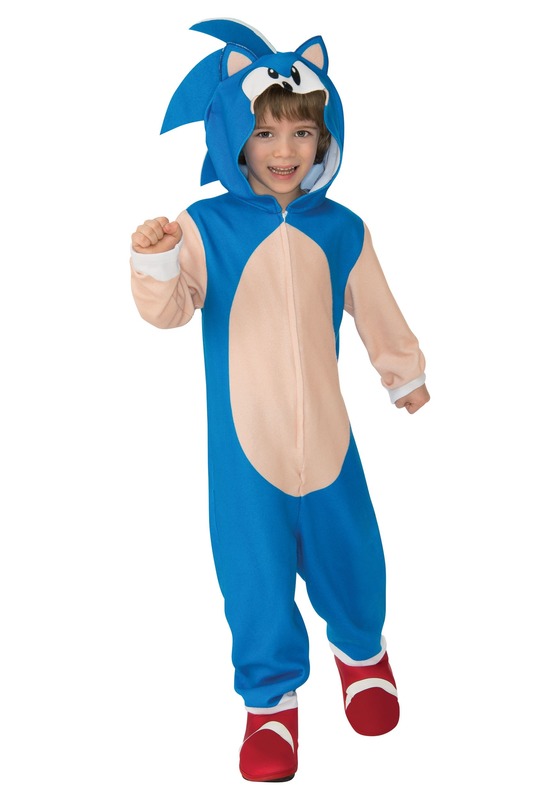 All your little one needs is this officially licensed Sonic the Hedgehog costume for kids! This child costume is based on the iconic video game character. It comes with a bright blue, comfy jumpsuit that your child will love running around in. It has beige sleeves and a matching tummy. It fits with a zipper in the front, so it’s easy to get your child dressed up in this cozy outfit. The attached hood is shaped like Sonic’s head and it even has his cartoonish eyes and a row of spikes along the back of the hood. Your child can even wear their normal clothes underneath to help keep them warm during a chilly night of trick or treating. If your child likes to run just for fun, or if your child is a huge video game fan, then they’re going to love this Sonic the Hedgehog costume. It’s a comfy choice for any child trick or treating. Of course, our child may have the need to fight against Dr. Robotnik when they wear it!